I recently spent two days in Vienna, a new city I was able to tick off my bucket list. 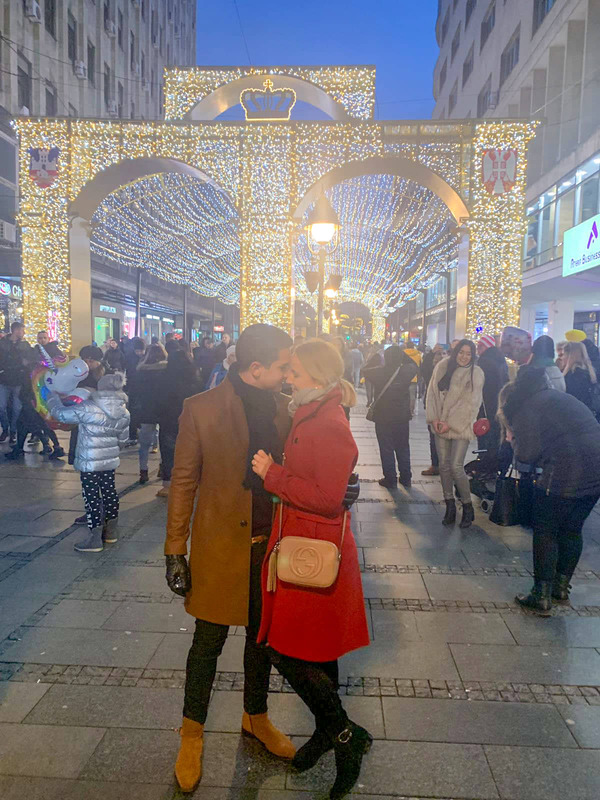 I’d never been to Austria before and I had no idea what to expect other than what everyone says, “Vienna is very very clean.” They weren’t wrong there. Not a single graffiti on any of the city’s walls and certainly no elderly people looking for plastic bottles in rubbish bins. Yep, it was very obvious, I was far away from Zagreb and balkan life. Apart from doing a walking tour when I’m in a new city, I also have instructions from my husband to book a table at a top restaurant. I didn’t need to search too hard in Vienna as everything lead to Steirereck at Stadtpark. 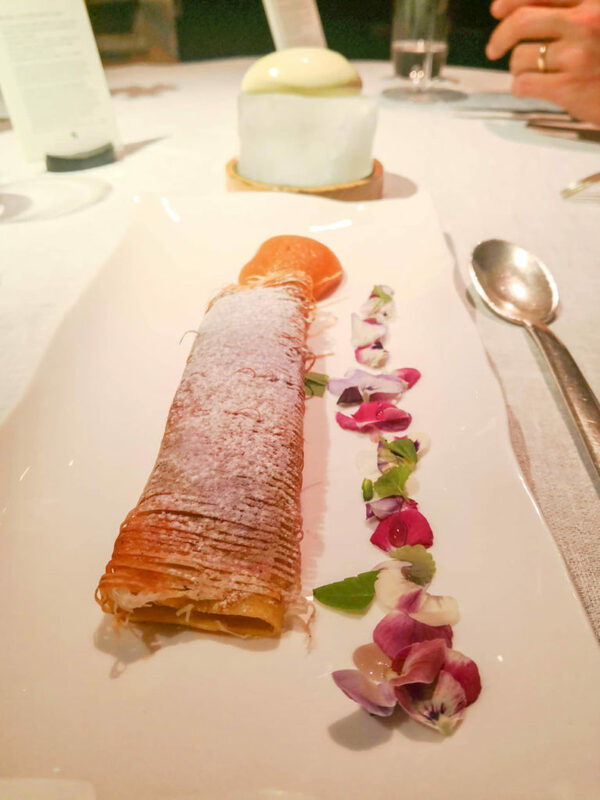 Firstly, Steirereck at Stadtpark currently has 2 Michelin Stars. 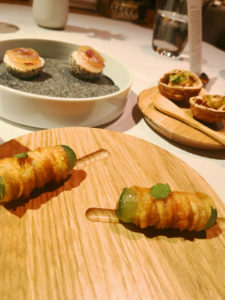 The restaurant is ranked 14th on the ‘50 Best Restaurants in the World‘ list by The World’s 50 Best and one of the must see restaurants featured on the Les Grandes Tables Du Monde 2019 guide. All websites recommended Steirereck at Stadtpark, so I booked a table for 2 on a Tuesday night for dinner. 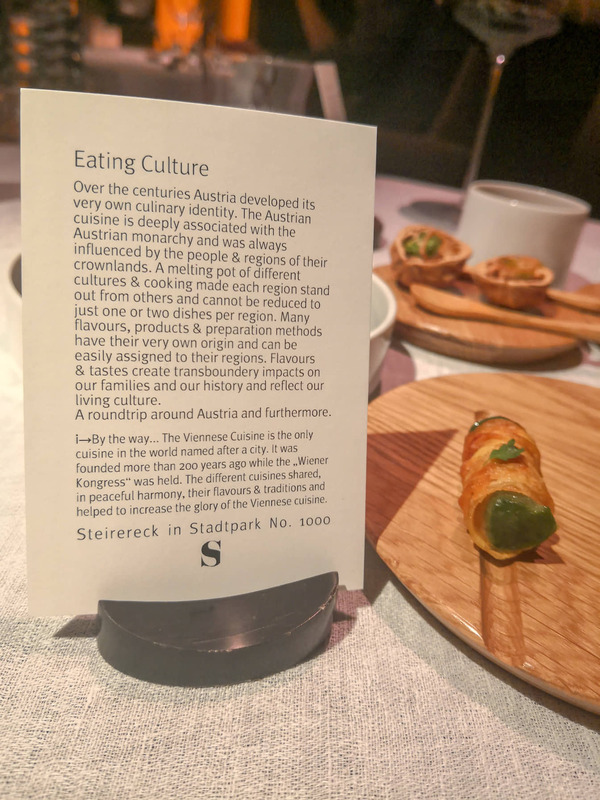 According to numerous websites, Steirereck at Stadtpark is a restaurant frequented by the elite class in Austria, a funny contrast to Croatia which has no elite class to boost the credibility of a restaurant. Family owned for generations, Chef Heinz Reitbauer grew up working in his parents’ restaurant before establishing a name for himself in the Steirereck kitchen. 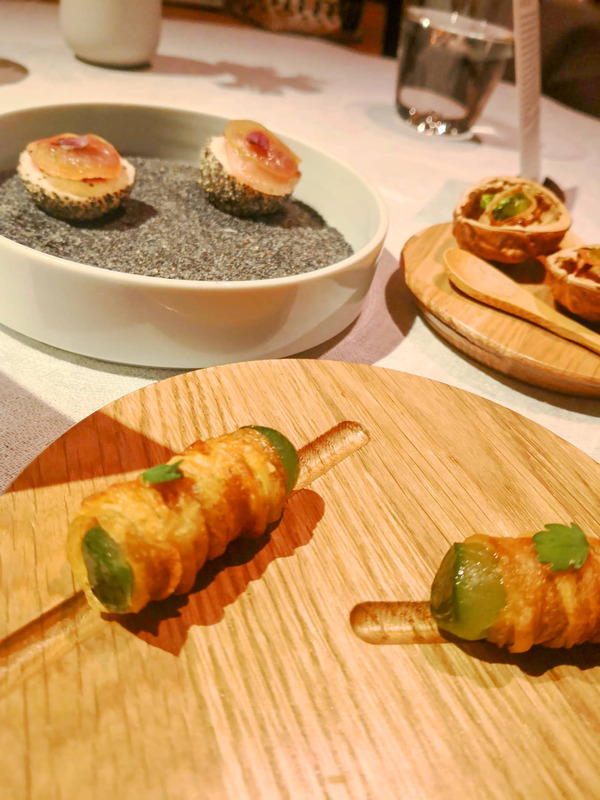 Branded one of the best ambassadors for Austrian cuisine, a genius in combining a peaceful harmony between flavours and traditions of Viennese cuisine. 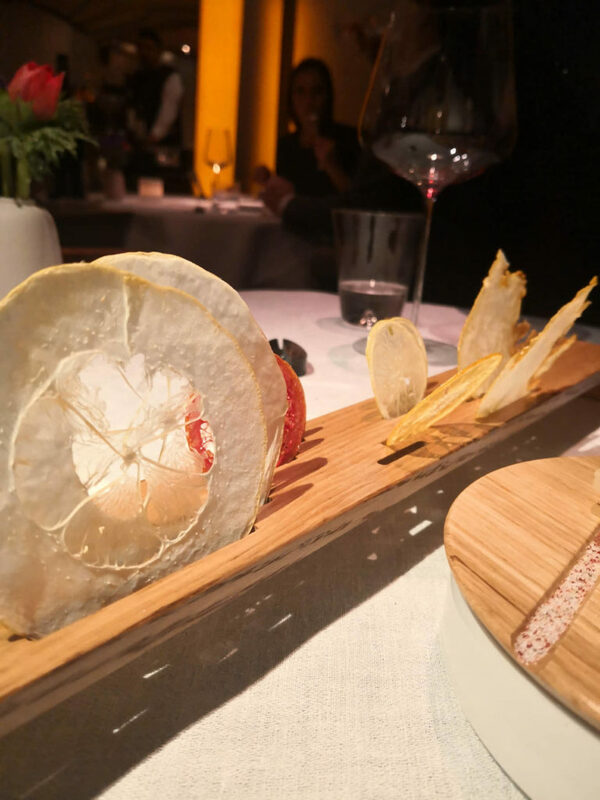 The restaurant is located in one of the most beautiful parks in Vienna, Stadtpark, which is also the surrounded by the all the globally recognised luxury hotels. 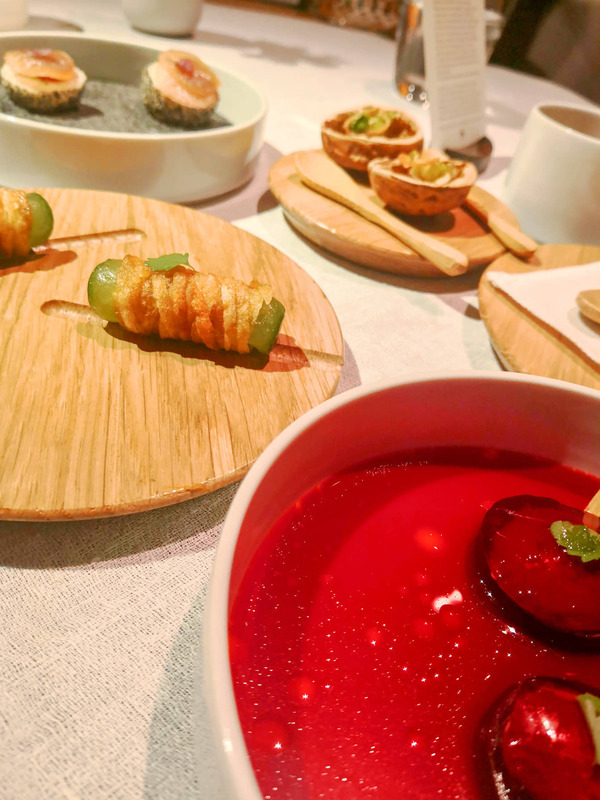 Steirereck is famous for their modern Austrian cuisine and locally sourced seasonal produce, a lot coming directly from Chef Heinz Reitbauer’s farm. Steirereck in Stadtpark isn’t difficult to find as the exterior of the building is mirror-like, somewhat futuristic. 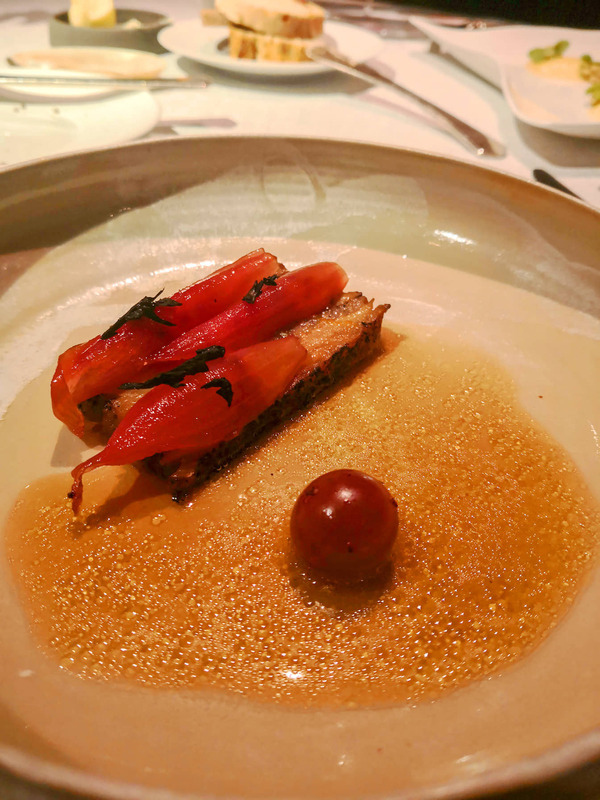 As we were directed to our table, I immediately noticed a similar setting to Alain Ducasse at The Dorchester, a large round table, two generous chairs next to each other only separated by a wooden stool for your bag, crisp white linen and undivided attention by staff members. 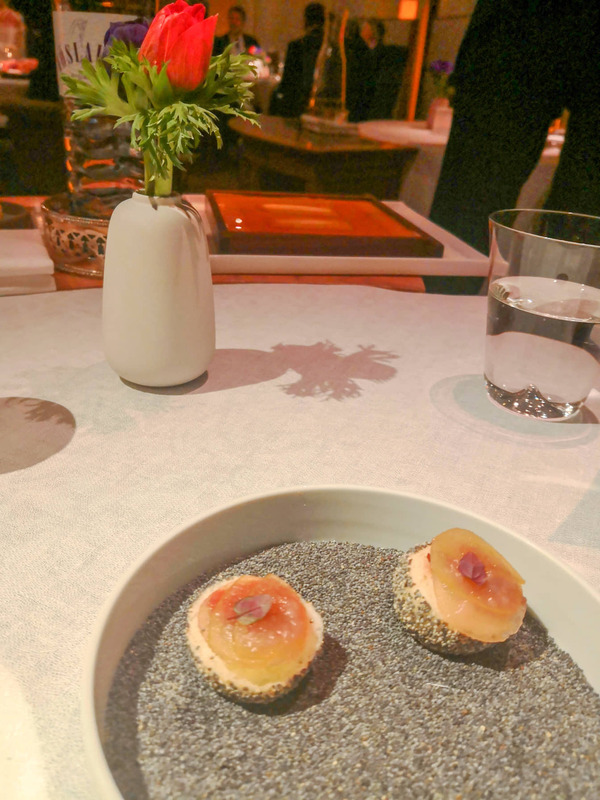 Steirereck is the type of establishment I really shouldn’t be taking pictures at but I did, however, I don’t know how much longer I will be writing about the top restaurants I go to anymore. I think this will be my final year. We begin by being asked what type of bread we would like by a man who comes over to us on a trolley with at least 25 different types to choose from. The selection ranges from your basic (double baked) sough dough, corn bread to bread more creative types. 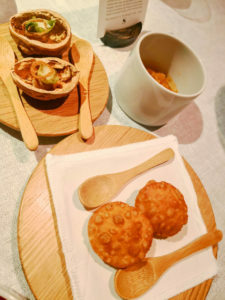 Then we are given five small dishes, each equally as delicious and leaving you more curious of what’s to come next. For a starter I chose the artichoke & celeriac with gooseberries and black trumpet mushrooms that were braised with thistle oil and orange. 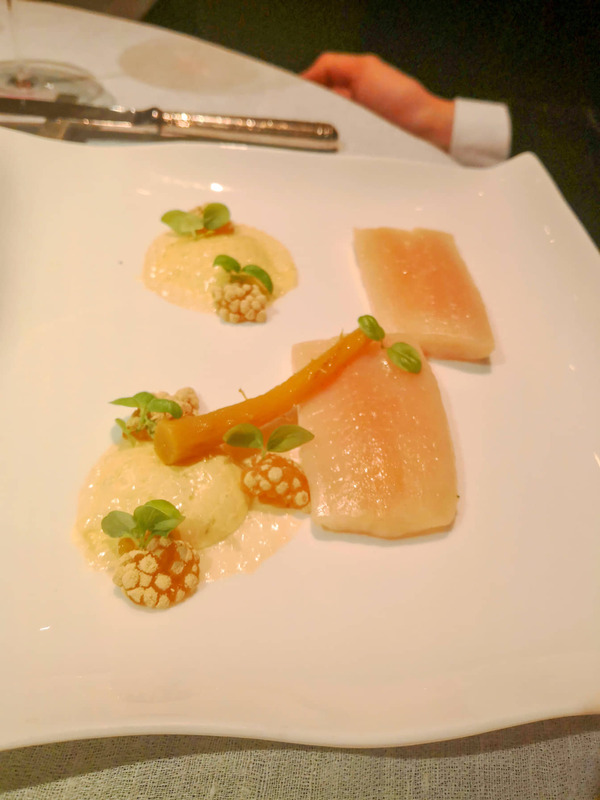 My husband chose the char with beeswax, yellow carrot, pollen and sour cream that was recommended to him by our waiter. As we were sampling the five small dishes, our waiter came around with two pieces of Mariazeller char and poured beeswax all over it and left it to settle on the edge of our table for about 10-15 minutes. The final result was superb. 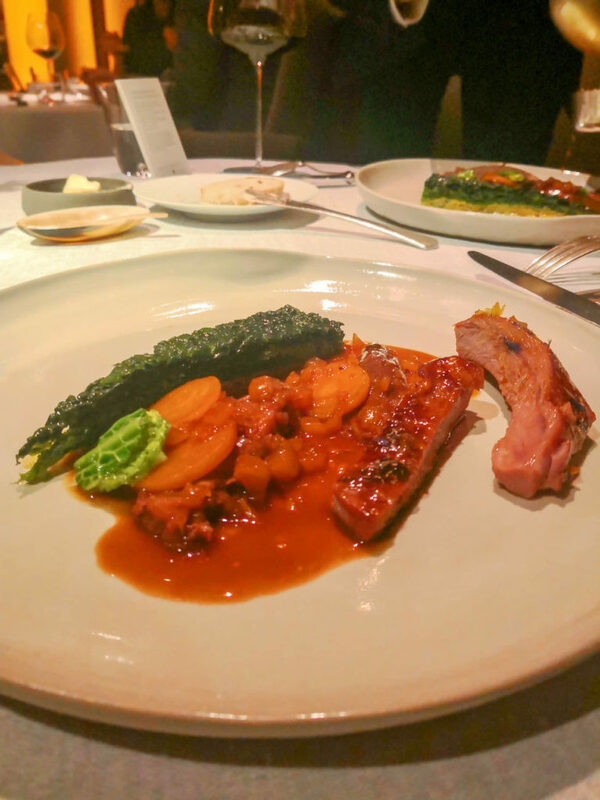 For our main, my husband and I selected the lamb shoulder & shank with chamomile, golden beet and kale which you’re only able to order between two people. To dessert or not to dessert is such a silly question, of course I’m going to order a dessert. I ordered the crepes with medlar and violets. I actually thought the medlar was apricot, my bad. These could possibly be the best crepes I have eaten in my life. 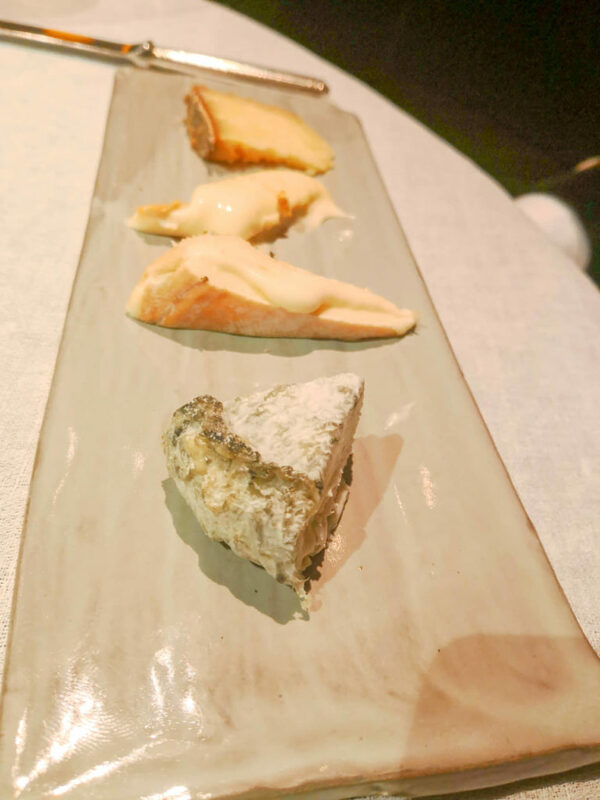 While my husband remembered that he actually follows a ketogenic diet outside the restaurant and ordered a plate of cheese. Again like the bread, the cheese also arrived on a trolley where the kind staff member passionately spoke about the 40 or so varieties of cheese from all over Europe to choose from. It was literally like a cheese factory on wheels, there was even cheese hidden away in drawers. 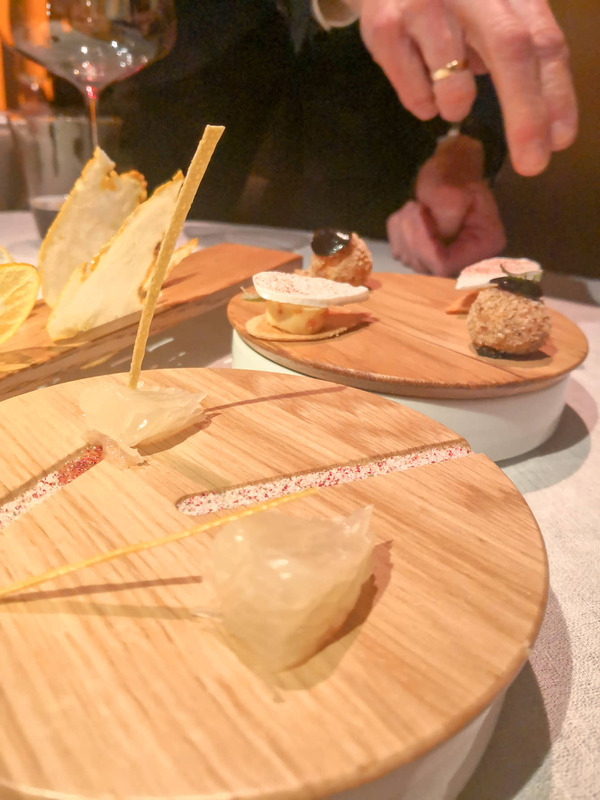 Just when we thought the Steirereck at Stadtpark experience was all over, we were given more samples from the kitchen to try including paper thin citrus fruits. One. Figlmuller has three locations across Vienna city and the schnitzel is literally larger than your plate! Two. Fromme Helene is a very traditional Austrian restaurant with a fantastic beef soup too! Adriana you look so happy and beautiful, please don’t stop sharing your travels. Where are your boots from?